A traditional burial ground should be a No Go for Pokemon Go — so says a Lheidli T'enneh woman who wants to shut down a poke stop in an Indigenous graveyard in Prince George, B.C. Kym Gouchie was visiting her father's grave Sunday, when she encountered dozens of Pokemon players traipsing through her First Nation's burial ground. "It's sacred there,"said Gouchie. "This land was once my ancestral land. This is the only little piece of land inside Prince George that is ours, and you are disrespecting it." "My dad, my uncles, my cousin, my great grandmother are all buried there," she said. 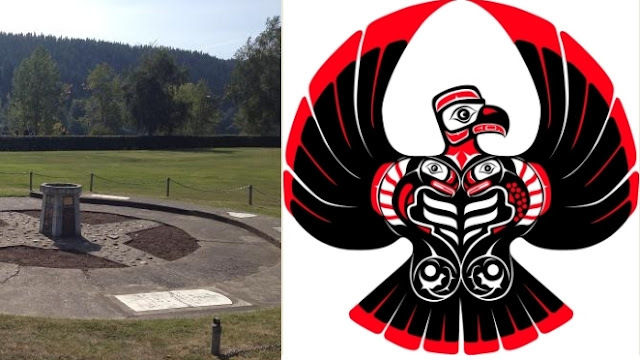 The traditional graveyard is located in a popular riverside park, where the Lheidli T'enneh once lived, before their village was burned to the ground in 1913 and their community forcibly relocated to reserve land. The traditional Lheidli burial ground is now open to the public, but it's gated and enclosed by hedges within the Lheidli T'enneh Memorial Park. 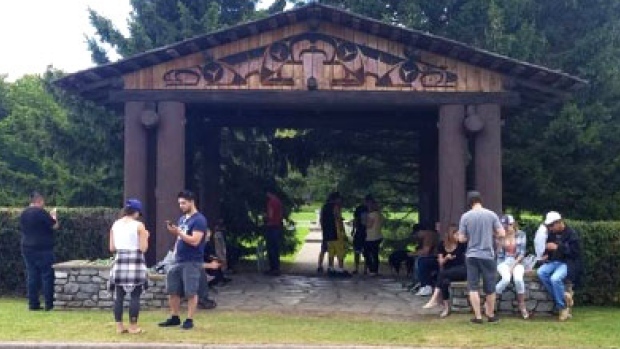 But this weekend, said Gouchie, she confronted a young man in the graveyard who pointed at the outdoor altar and Indigenous clan carvings and he told her it was a Pokestop. "To have a Pokestop there and to have people searching around in the burial grounds is absolutely absurd in my mind and very disrespectful," said Gouchie. "This has to stop," said Gouchie. "This game has only been live in Canada for one week. It's only a matter of time before that burial site is filled with Pokemon Go people." "It should not happen. It should not be on their map," she said. "They didn't consult us. They didn't ask permission," said Gouchie. Responses to "Pokemon Go On Sacred Land : Indigenous woman wants burial ground Pokestop gone"
My understanding is locations such as these can asked to be removed by submitting a request. I agree with Casey; Pokémon Go will get people in the area who know nothing about the local history to begin to learn about it. Be happy, that memorial is doing what it was built for.